Links, with useful descriptions, to a wide variety of religion and philosophy sites. On-line texts, links to relevant sites (including a large number of University departments). Maintained by Gerald Huber. "Information on the sociological, economical, political, judicial, and geographical impacts of religion. The information is provided in German." Religious Studies Department; Web Page. Details of the deparment & staff, plus links to religious-studies resources. "World-Wide Web Virtual Library: Religion" , maintained by Casper Voogt. Texts from the main world religions, with a search engine that allows you to look for key words in the various files. The relevant pages from the Galaxy database. "Religion Resources Page". Full and well-thought out site, employing a rather wider definition of "religion&quoat; than I do. A Home Page, with useful links to other sites. Or it used to have. Mr Hexham has become a frames-fashion victim. and his site is now unusable by, for example, those who use text-based browsers, such as me. "This site contains further information about HCS-L, the Society for Hindu Christian Studies, and the Hindu-Christian Studies Bulletin." The Religion & Philosophy section. There isn't much here (yet? ), but it's worth a look for the searchable Koran and Book of Mormon. Wide-ranging page, covering the major and some minor religions. A bibliography maintained at the University of Toronto. Maintained by Deb Platt. This site offers references to each of a long list of key terms in Christian, Buddhist, Hindu, and Taoist texts. Good for browsing. This is a large hypertext document, intended originally as part of a larger project, and aimed at providing background material for the study of English literature. It's not an in-depth treatment, as the word `overview' implies, but it's an interesting and useful reference work for those who are new to the subject. This site has disappeared; if anyone knows where (if anywhere) it's gone, I'd be grateful for the information. Maintained by Gene Thursby. Links to various religion-related sites. A very wide range of on-line and down-loadable (in WordPerfect 4.2 format) texts. At least, there used to be. Now, using a text-based browser, all I get is a series of pages, each with an anonymous [Link] to the next. I can only assume that texts are no longer the point of this site. This site is poorly coded and frames crippled; though I've linked to a usable section, some apparent links don't work (yet?). What is available includes details of the Forum, activities, past conferences, etc. "An open forum for all religious beliefs concerning today's most important topics." Another page offering links to a variety of (mainly Judaeo-Christian) religion-related sites. A round-up of the religion-related groups. Links to sites related to various religions and pseudo-religions, with a heavy emphasis on Christian links. A (vast) on-line comparative anthology of sacred texts, edited by Andrew Wilson. The relevant section from the Yahoo database. Details of the Society - membership, officers, etc. - plus events, publications, news, prizes, and links to other sites. Details of the Association, its aims and objectives, conferences past and future, membership, etc. Publications, events, people, links, and the Marburg Journal of Religion. In English and German. Pages maintained by a Canadian Association, offering brief accounts of the history, beliefs, and nature of the Baha'i faith. Prop. Graham Sorenson. On-line texts, links to other sites, etc. Another large, resource-filled site. Maintained by Mark Towfiq. Offering introductory material, Baha'i scriptures, and links to related sites. Maintained by Gordon Lane. An extensive range of resources, including a list of writings available on the Internet. (Even if you use a graphical browser, you might find the text version easier to use. ): graphical -- non-graphical. "the major academic Web page for serious Baha'i studies, with enormous numbers of primary materials, scholarly articles, research notes, etc., in many languages." "There is a basic introduction to the Baha'i Faith with links, essay on the Progressive Nature of God's Revelation (within Islam and forcasting the Baha'i Faith); some wav files of Baha'i prayers and the opening Surah of the Qur'an and so forth." The relevant page of resources from the WWW Virtual Library. Information and links, run by Chien-Wen (Mark) Shen. Gopher site based at A.N.U., with an extremely comprehensive set of resource materials and links. Zen Buddhist Texts - a wide range of primary and secondary materials. All the gopher sites are empty or have disappeared. A search on Alta Vista came up blank. I'm still looking, though - and if anyone has any information, I'd be grateful. Human rights issues from a Buddhist perspective. Vast collection of on-line texts, plus details of the Institute, etc. In English, Vietnamese, and Chinese versions. Shin Buddhist Resources, links, etc. A collection of links & texts, plus details of an e-mail newsletter and on-line discussion. Details of the Association, information about conferences and other events, links to related sites, etc. Includes articles about life in a Thai monastary and information on Dhammakaya medititation. `Zen@SunSITE', run by Ben Walters. The King James version, on line. Very full, with texts on line (old and new), and links to other sites. A collection of on-line texts - not only straightforwardly theological, but things like G.K. Chesterton's Father Brown stories. Worth a look. "A wide-ranging selection of Christian resources on the World Wide Web. Including Bibles, Churches, Theology, History, Creeds, Culture, and Opinion. " Director: Gary F. Zeolla. Christianity "from a Reformed Baptist viewpoint". A wide range of links, relevant texts, and other information relevant to Gnosticism (plus related areas). On-line translations of the main gnostic texts, plus links to related sites. Links to on-line texts by early Christian writers. The text of his book First Gnostic Principles of One God One Faith , plus links to relevant sites. 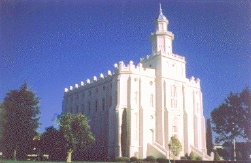 "The Church of Jesus Christ of the Latter-Day Saints". I'm not entirely sure that this belongs here, but here's where I've put it for the time being. A search engine, allowing you to look for occurrences of words and phrases, plus the option to browse the whole text. Prop. Gregory Woodhouse. A well-organised list of links. Prop. David Bowie. Very full list of www resources. Catholic-based page - very rich, with a vast range of texts, including the Writings of the Church Fathers. Prop. George Amoss. An archive of on-line texts. "or Quakerism Made Easy" - an on-line book by David M. Murray-Rust. On-line documents and links to a very wide variety of resources. From "Russia on the Web" (courtesy of the "Transnational Institute"). Information, pictures, links to other sites, and a forum for discussion. Links to a variety of resources, arranged into four categories. Links to sites related (sometimes slightly, and interestingly, obliquely) to a sort of Thomist approach to Christianity, maintained by Stephen Adkins. Links to a wide variety of Christian resources, maintained by Stephen Adkins. Maintained by Keith Ammann. Offers details of the man and his work, pointers to the main texts on the Web and to other relevant sites, a bibliography, plus some other bits and pieces. Down-loadable Sanskrit verses in Acrobat and PostScript formats. Introduction courtesy of the Vivekananda Centre. A gopher site, based at A.N.U., offering texts and links to other sites. "Hindu Scriptures Reference Centre". Translations, on line. "The Bhaktivedanta Book Trust." The text version is surprisingly understated; it offers information about publications, centres, beliefs, etc. "This site contains information about HCS-L, the Society for Hindu Christian Studies, and the Hindu-Christian Studies Bulletin." Maintained by Mike Magee. There's also a version for those infatuated with frames. A gopher site, offering a number of documents, archives, bibliographies, etc. It seems to be pretty busy. London-based organisation, involved in the teaching of Hinduism (GCSE) in schools and other educational activities. Peter Wierny's "Temple of Understanding"
A good range of texts, links, and other resources. "Daar-ul-Ehsaan a world wide Islamic non profit organization founder Shakih Abu Aneese Muhammad Barkat 'Ali Quddus Sirruhul 'Azeez. The aim is Muslim unity in every corner of the world through Islamic information and education." Details of the Association, plus introductory texts, and links to relevant sites. A variety of resources, including links to texts, discussion groups, other sites, etc. Very full resource, maintained by Alan Godlas. Run by the Muslim Students' Association of the University of Buffalo. A very full site, offering a wide range of links. Details of the organisation, its broadcasting, background, etc., plus the beginnings of an information service offering information about relevant publications, etc. Maintained by Rizwi S. Faizer. A very full site, offering a wide range of texts, both primary and secondary, links to other sites, details of relevant newsgroups, etc. An on-line, searchable encyclopedia of Shi'a. An extensive collection of links, texts, and contacts. Details of de Montfort University's degree programme, plus extensive links to Jain-related resources (including libraries). Introductory material, archives of the e-mail discussion list `Jain-List', and links to other Internet resources. A personal account of Jainism, plus links to other resources and some useful contacts. `The ancient library of Qumran and modern scholarship'. An exhibit at the Library of Congress. Huge collection of commentaries, with a search engine for those kept at the site. "offers a FAQ on Jewish meditation, tips on getting started, instructions on a variety of Jewish meditative techniques, and a comprehensive bibliography on the subject, including books, audiotapes and links to related sites." A very extensive range of links - not all concerned with Judaism, the religion, though. Maintained by Leonard Grossman. By no means all relevant to Judaism as a religion, but it is lengthy. Another page of links - again, often social or political rather than religious. Gopher site, offering basic information about Sikhism. Difficult if you use a non-graphical browser; use the first link, and things become easier and more interesting, with information, texts, and commentaries. If you use Lynx, this page is rather confusing; it contains a number of links to Sufi-related sites. Details of the Association - membership and events. Texts, introductory material, and links. A brief history, plus a few links to related sites. Very full, containing an introduction, an extensive bibliography, sources for books, and a discography of Sufi music. Chinese thought, with special emphasis on Taoism, from a philosophical perspective. Links to texts (primary & secondary) and other resources; maintained by Gene R. Thursby. There's lots here, though some might find the style (over-informal, lots of exclamation marks) off-putting. An English translation by R.B. Blakney. * Text-only version - 27 translations. Two versions: Peter Merel's interpolation of a number of translations, and Stan Rosenthal's translation, with an introduction and background material. An extremely large set of texts in the original and in translation, plus language-related resources and links to other Zoroatrian sites. This is one of the most appallingly frames crippled sites I've seen. I've linked to the most useful of the six frames making up the first page. Some local information, introductory material, and links to other resources. The central tenets of Zoroastrianism, plus a collection of articles, and links to other sites. A list of links devoted to African Traditional Religion. He started out as a Zoroastrian, but the material on this site suggests a rather catholic (with a small `c') attitude to religious notions, with an emphasis on the religions of India. "a site dedicated to the unity of ALL religions. It is the sincere hope of the Webmaster that this site will help to dispel some of the misconceptions of some religions, thereby helping everyone to have a better understanding of each other, bringing us closer together." "an in-depth look at the much overlooked idea of Deism. It also has many hard to find essays by Thomas Paine and Thomas Jefferson on topics such as religion, God, life, etc." I've put this link here because, although the deism involved here seems to be the variety of Christianity to which the term has usually been applied, the site claims some vaguer (in fact extremely vague) religious identity, opposed to Christianity. I think that that's probably just a confusion, but judge for yourself.